Jakarta, November 20th 2014 - Archipelago International is now taking reservations for its latest 4 star business & conference hotel, The Aston Imperial Bekasi Hotel & Conference Center. Building upon its collection of business hotels across Indonesia, this latest property is located at the heart of West Java's business and commerce district right of the toll road connecting Jakarta with Bekasi and Karawang. Bekasi is a city in West Java located on the eastern border of Jakarta - the most populated suburb within the Jabodetabek metropolitan region. In recent years, many satellite cities have developed along Bekasi's toll highway, such as Harapan Indah, Kemang Pratama, Taman Galaxy, and Grand Wisata as well as several shopping centers to cater to the numerous residential estates and emerging industrial areas of Jababeka and the surrounding region. Located close to the Bekasi toll road adjacent to the Bekasi Cyber Park & Entertainment complex on the primary street of Jalan KH. Noer Ali, Aston Imperial Bekasi Hotel & Conference Center is at the core of the city's action. Itâ€™s surrounded by several shopping centers including the Metropolitan Mall, Mall Summarecon, Bekasi Square and Mega Bekasi Hypermall, with direct access to the emerging MICE offerings in the area. The hotel will feature 176 rooms and suites together with a coffee shop, lobby lounge, a rooftop swimming pool and bar. For the hotel's business guests, the hotel also boasts 7 meeting rooms and a ballroom that can accommodate up to 1000 persons. "West Java's business and commerce industry is ever-growing and evolving, so here at Archipelago International, we are proud to be expanding our collection of business friendly hotels in the region. With so much development in the city of Bekasi over the years, we are very excited to be opening Aston Imperial Bekasi Hotel & Conference Center later this month. You can follow the hotel's progress at our website, www.AstonHotelsAsia.com" said Norbert Vas, VP Sales & Marketing at Archipelago International. 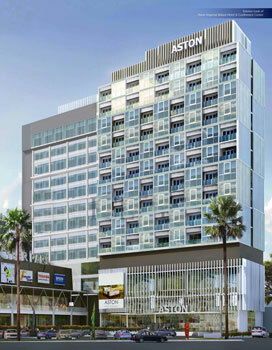 Exterior of Aston Imperial Bekasi Image, Bekasi - West Java. 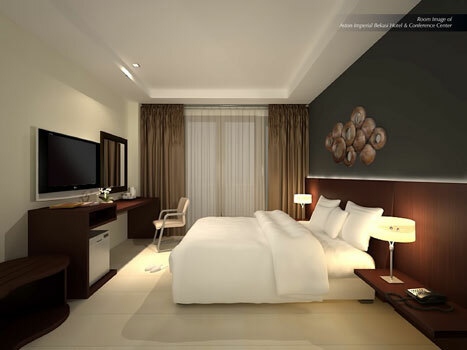 Room of Aston Imperial Bekasi image, Bekasi - West Java. Archipelago International is one of Indonesiaâ€™s leading hotel operators with an underlying portfolio of more than 85 hotels and 12,000 rooms. As a continually expanding brand, Archipelago International has a development pipeline exceeding 95 properties in Indonesia, the Philippines and Malaysia.